LG Chem, part of the overarching LG Group and the division which deals with chemicals and materials, has been pretty busy recently with restructures and tech purchases from major companies. All this with a view to concentrating resources on future OLED display technologies, in what they say is an opportunity for growth. On April 1st, LG Chem announced an organisational revamp followed, only a day later, by an announcement that they have acquired core technology for soluble OLEDs from US chemical giant, DuPont. As reported in a number of Korean news outlets, the deal covers DuPont’s soluble OLED assets based around R&D developments, at least 540 patents and some production facilities. The rumoured cost was $175 million but neither party has confirmed any financial details of the deal. "With this acquisition, we could secure every technology related to the soluble OLED materials. DuPont has developed its cutting-edge technologies in the sector for about 20 years," said LG Chem, according to The Korea Times. LG has been investigating soluble OLED manufacturing for a number of years as the company sees it as a way of improving production and lowering costs. With soluble OLED, displays can be mass produced using inkjet methods with the advantage of minimising material wastage and also speeding up the whole process. Current deposition methods of fabrication are time-consuming and involve several steps, such as heating panels in a vacuum and the attachment and evaporation of materials. Yields from this approach can be variable. As well as manufacturing improvements, there are technical benefits to the inkjet production of soluble OLED displays too since the colour gamut can be expanded beyond the current DCI-P3 gamut limit on current OLED displays. 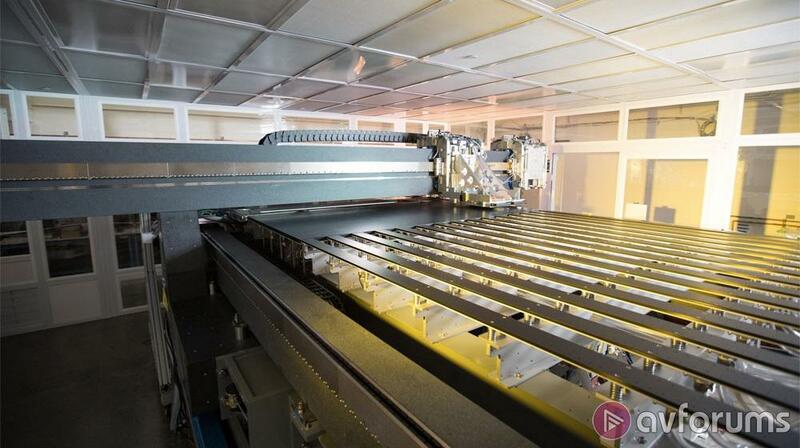 The use of inkjet manufacturing appears to be a key development in future TV display production and TCL are also investigating the use of the process as part of their research into Quantum Dot - OLED hybrid technology. Samsung has also previously partnered with DuPont to advance inkjet printing of OLEDs. Potentially, LG’s acquisition gives them access to some of those developments. It’s reported that the display industry is forecasting soluble OLED displays will be mass-produced within the next five years, so your current OLED is good for a decent amount of time yet. However, when it does come time to replace it, technically superior and cheaper OLED TVs could well be available.